Percentage of People Adopting in The U.S: Why Not More? However, the number of total adoptions continues to decline steadily. According to The National Council for Adoption, “The total number of all adoptions taking place in the U.S. has fallen, from a count of 133,737 adoptions in 2007 to 110,373 (41,023 related adoptions and 69,350 unrelated adoptions) in 2014. More than half of this decline can be attributed to the significant drop in the number of intercountry adoptions by Americans.” The study notes various types of adoption and their impact on the overall numbers. The study shows, “A total of 75,337 unrelated adoptions occurred in the U.S. in 2014, 69,350 unrelated domestic adoptions and 5,987 intercountry adoptions. Intercountry adoptions comprised 7.9 percent of total unrelated adoptions in 2014, down from 20.3 percent since 2007.” The University of Oregon puts the percentage of American families adopting at only 2-4 percent. People often get their ideas about adoption from what they have heard from others and what they have seen in the media. Unfortunately, these perspectives of adoption are typically incredibly skewed and sometimes, even completely fabricated. Some of these myths include the idea that all children who adopted are “troubled,” only rich people can adopt, and that birth parents frequently come back years later to “take back” their children. While all of these myths are indeed myths, it doesn’t prevent them from being shared over and over again both in the media and through word of mouth. One of the most popular myths about adoption is that only rich people can adopt. While there is no doubt that adoption is incredibly expensive, there are ways for people with modest incomes to adopt. There are grants, loans, and fundraisers that make many types of adoption affordable. 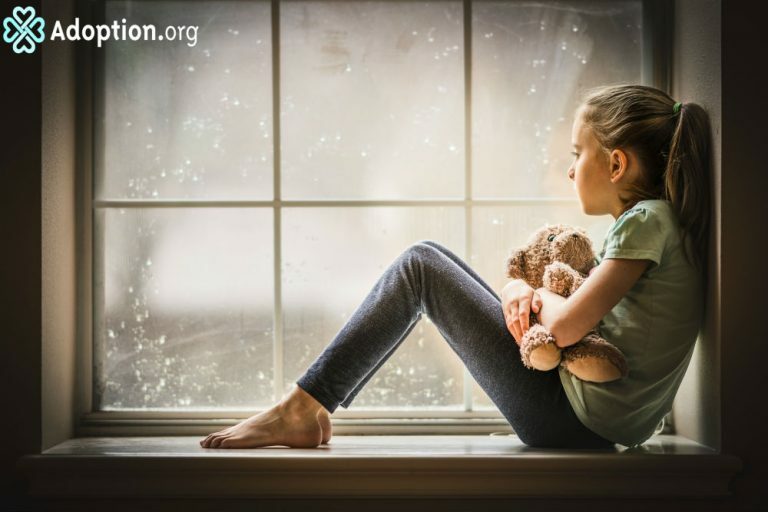 Adoption from foster care is often little to no cost; however, this is often unknown to those outside of the adoption world. For these reasons, many people are deterred from adoption, believing that they cannot afford to adopt. Although many people simply are ignorant of the facts about adoption, which makes a deterrent for them, some people do not have the desire to adopt. It is common for people to have children late in age or to choose not to have children at all. According to The New York Times cited, “In the Morning Consult and Times survey, more than half of the 1,858 respondents — a nationally representative sample of men and women ages 20 to 45 — said they planned to have fewer children than their parents. About half were already parents. Of those who weren’t, 42 percent said they wanted children, 24 percent said they did not and 34 percent said they weren’t sure.” They also noted that 64% felt child care was too expensive to have the number of children they wanted. For those who want children, there are those who do not want to adopt. Sometimes the unknowns of adoption are scary. Risk of exposure to drugs, unknown histories, and potential failed matches can be incredibly deterrent for many. For others, the desire to have biological children and experience pregnancy is stronger. Proved by the multi-billion dollar fertility industry. Both the lack of a desire to have children and the lack of a desire to adopt contribute to the percentage of those not choosing adoption. Lita Jordan is a master of all things “home.” A work-from-home, stay-at-home, homeschooling mother of five. She has a BA in Youth Ministry from Spring Arbor University. She is married to the “other Michael Jordan” and lives on coffee and its unrealistic promises of productivity. Lita enjoys playing guitar and long trips to Target. Follow her on www.facebook.com/halfemptymom/.